Lufthansa will receive its first A350-900 on December 19th, with the most modern long haul aircraft in the world due to land at the German flag-carrier’s Munich Hub. The first regular commercial flight will be from Munich to Delhi on February 10th, 2017. “We are looking forward to welcoming our first A350-900 shortly before Christmas, and already in February, our passengers will be able to enjoy a higher level of comfort on their flights to Delhi as we have now made further improvements to key components of the A350-900’s cabin interior,” said Thomas Winkelmann, chief executive of Lufthansa’s Munich operations. Once Lufthansa has taken ownership of the aircraft, the A350-900 will be transferred to Munich during the week leading up to Christmas. Lufthansa Technik in Munich will then install the cabin interior including the new Premium Economy Class as well as other features so that the new flagship aircraft will be ready to be presented to the public at the beginning of February. 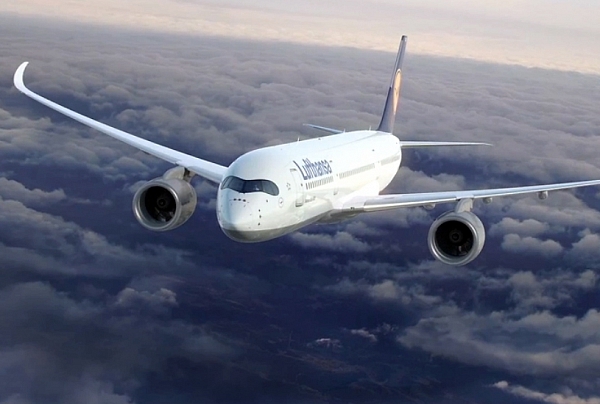 From February 2017 onwards, Lufthansa will station the first ten Airbus A350-900 aircraft in Munich. The first flight destinations are Delhi and Boston.